The perfect brew for weekend warriors, explorers, adventurers and thrill seekers? It’s Full Sail Airstream IPA – a balanced, unfiltered, easy-drinking, Northwest-style IPA. This balanced IPA is loaded with fruity hop aromatics and citrus notes, yet is low on bitterness. Geared for any adventure, Airstream IPA is equipped with a modest 4.8 ABV that goes down smooth and easy. Wherever the road of life takes you... be it stargazing, campfiring, spelunking, lake-jumping, or just toasting the end of a great day with friends. Cheers to wanderlust and Airstream IPA! 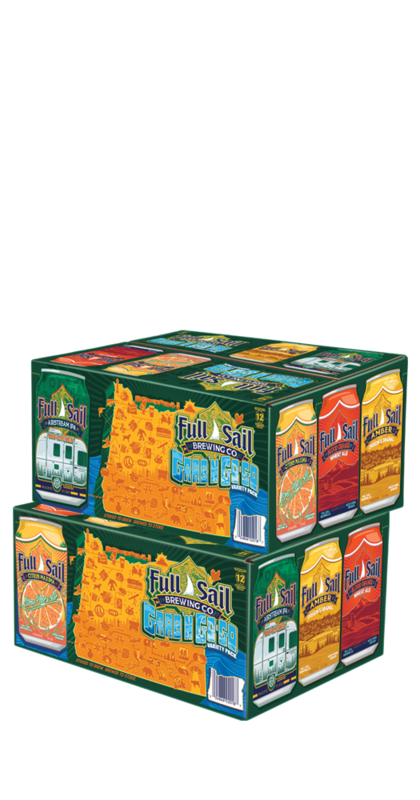 Full Sail Airstream IPA is available now in the Full Sail Grab ‘n’ Go-Go Variety 12-pack and will be available in 6-packs coming Summer 2018.